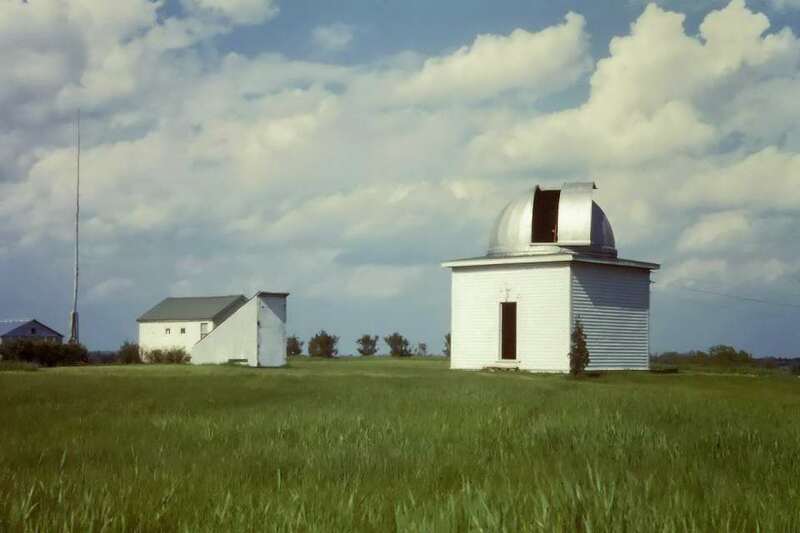 The period sees Ed Halbach start his 35-year reign as our Observatory Director. 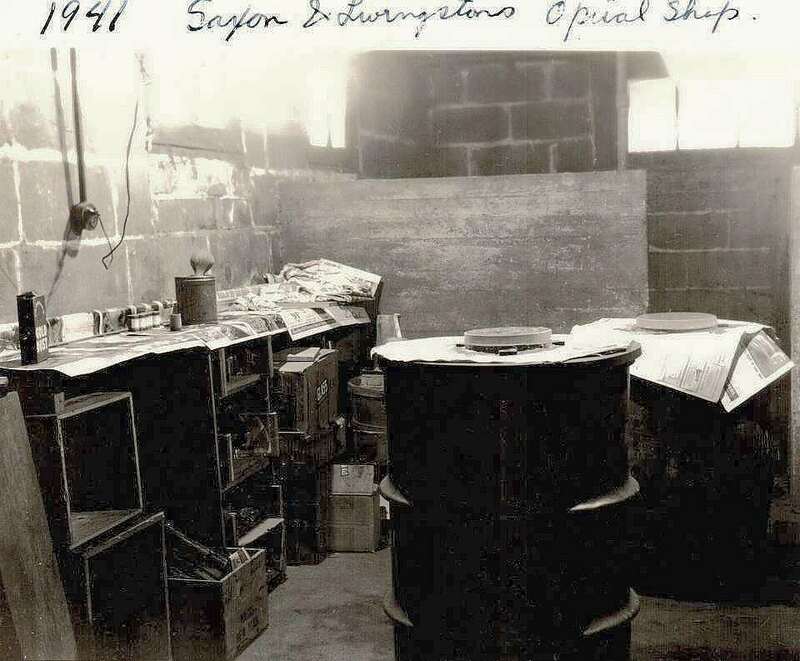 But, sadly, it's a slow start as the observatory will be basically closed throughout World War II because of gas rationing. Photo of C.M. 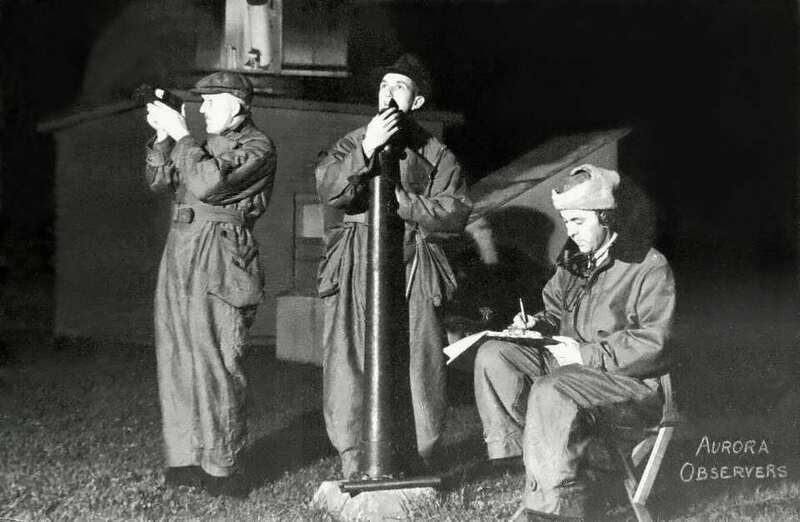 Prinslow, E.Halbach, & W. Albrecht observing aurora. National Geographic Magazine. 1947 - C.M. 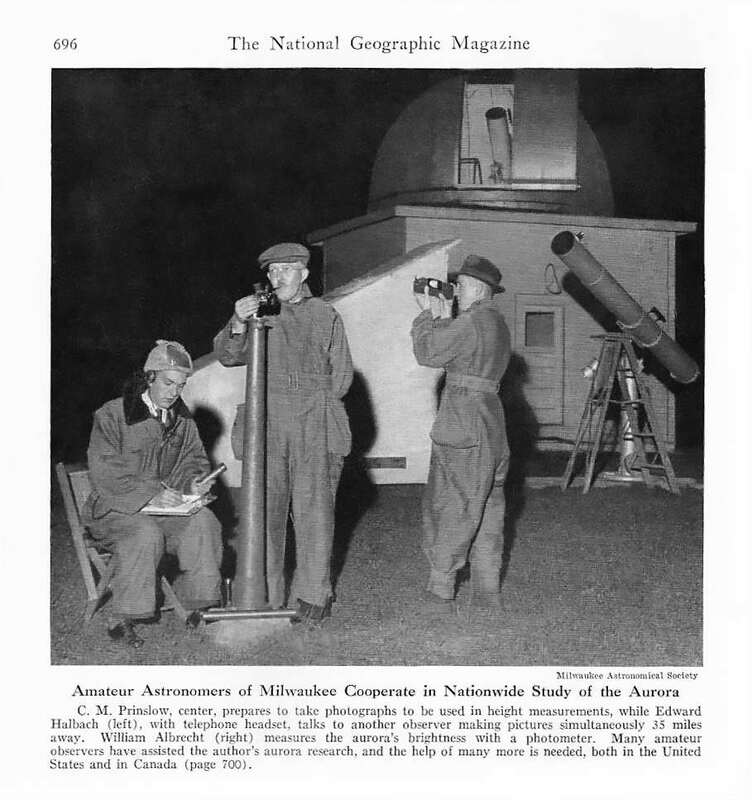 Prinslow, W. Albrecht, and E.Halbach observing aurora. 1946 - Bill Albrecht at the Patrol Camera. 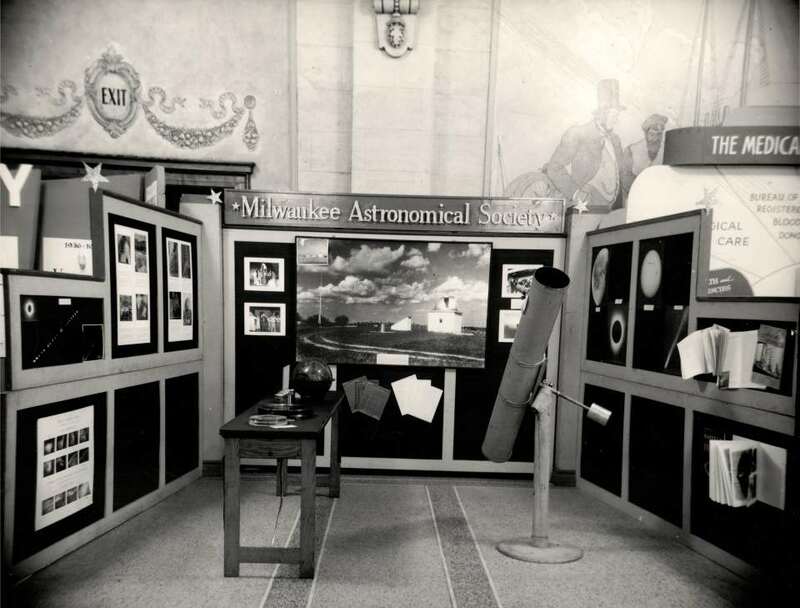 MAS display at the 1946 Hobby Council at the Milwaukee Auditorium. 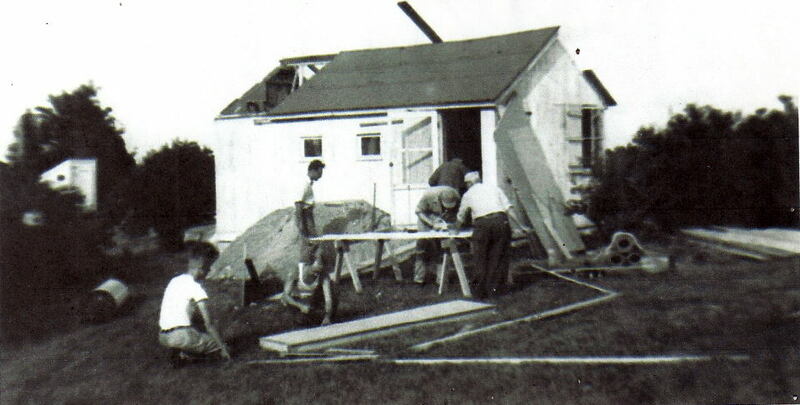 Club House (aka Monastery) assembly in 1940. A voting booth building that will serve as the observatories office and sleeping quarters. 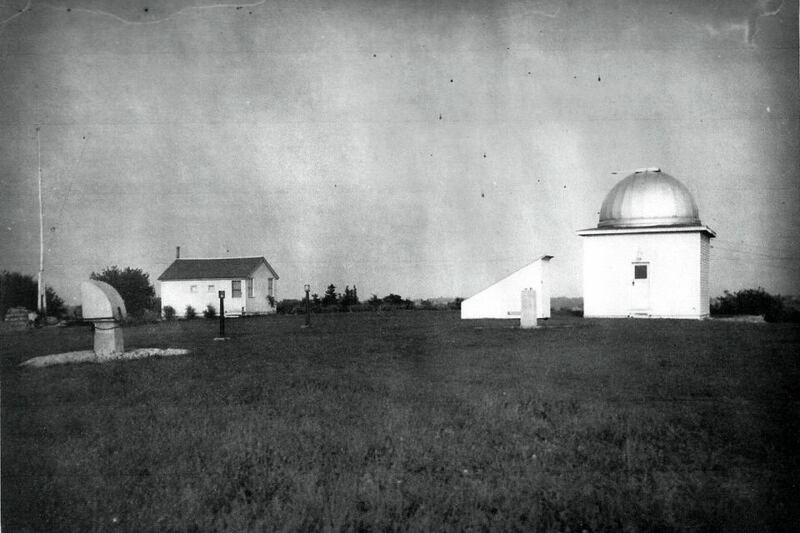 Observatory grounds in early 1940 after completion of the Clubhouse / Monastery. 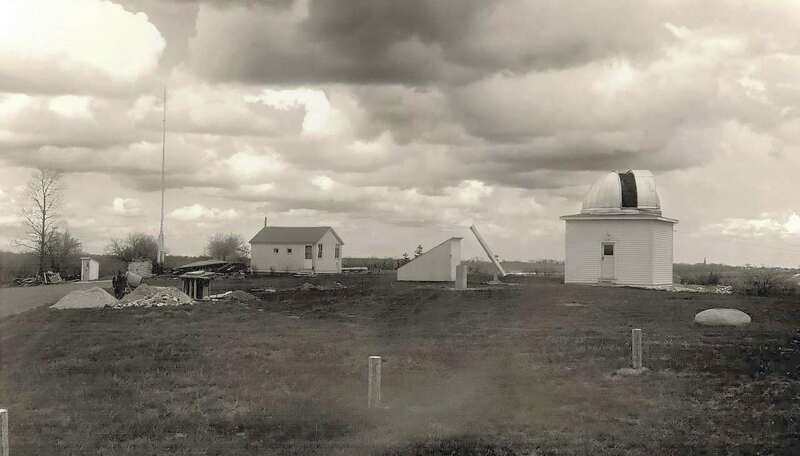 Note the outhouse at the left. 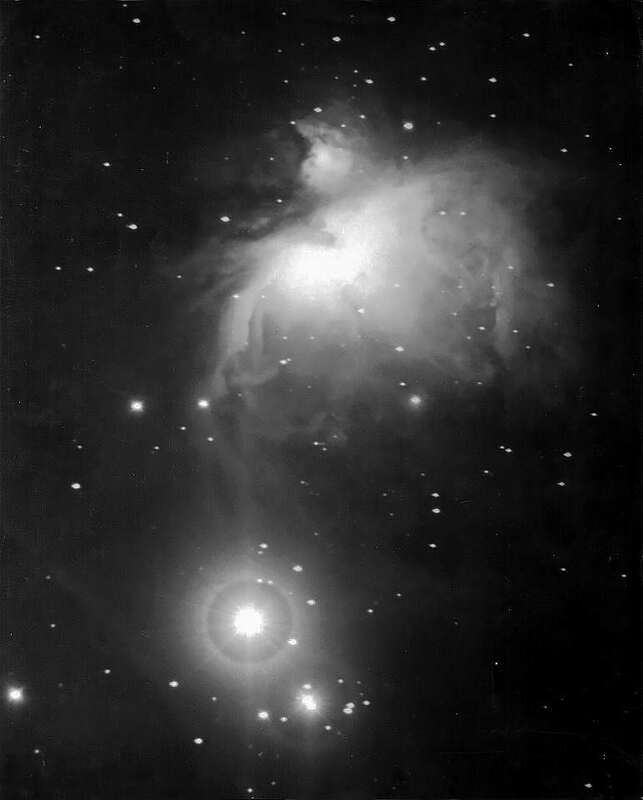 MAS Postcard - Orion. Sometime in the 40's. 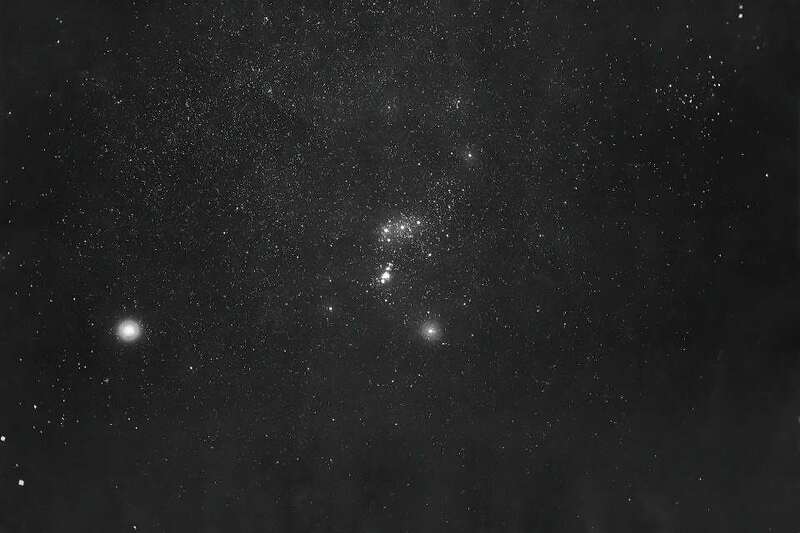 Region of Orion. 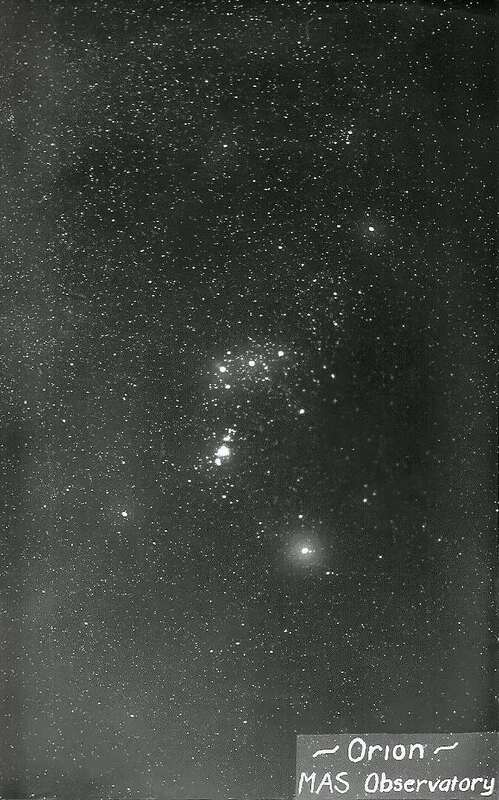 Constellation of Orion including Sirius. Taken with the Patrol Camera.